The Open Door Classroom: Helpful Hints! 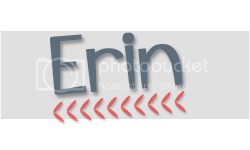 The teachers of Blog Hoppin' are hosting a week long linky party! I'm so excited to participate in today's linky- H is for Helpful Hints. My students use to always argue over whose turn it was to be on the computer. We only have 3 student computers and 20+ students. I decided to assign each student a computer for an entire day. Each card has the student's name on the front and their individual login information on the back. The cards are hole punched and hooked together with a book ring. Each ring of cards hangs from a 3M hook on the computer. My students know each day whose turn it is for the computers and can even check to see when their next day is going to be. It's also really handy having their login information on the back of their card to eliminate questions, disruptions, etc. So easy! Last year, I used one turn-in basket for all of my students' completed work. It was a nightmare! The basket would pile up, I'd have to sort the papers, and I'd get overwhelmed and procrastinate with grading (sound familiar?!) This year, I found this really neat 5-basket organizer from Really Good Stuff. I thought about labeling each basket with the days of the week but decided to organize them by subjects. I have mine organized into the following five categories: morning work, math, word study, reading, and other. This has been such a tremendous help in managing papers to grade. It's not so overwhelming and the papers are already organized at the end of each day. I love it! We all know that classroom storage space is limited so we have to get creative when it comes to hiding storing all of our materials! An easy way to do this is to use the extra cubby space in your classroom. If you have a couple of empty cubbies, use a piece of fabric and Velcro to cover the extra space. You can store a ton of materials by doing this! Whenever you need something, just pull back the fabric, grab what you need, and velcro the fabric back on. It's so simple and looks cute too! Alright, those are my helpful hints for today! Tomorrow I hope to blog about activities that I love to use in my classroom. Be sure to head over to Blog Hoppin' and check out all of the helpful hints being shared! What a great idea of having the kids file their own papers. I just spent 1/2 hour today sorting through all of their papers from our center rotation. I know I have a 5-drawer rolling cart I could use for this. It's going in my classroom tomorrow! Thanks for the tip! Great tips! I spend time every afternoon sorting papers, ugh. I also love the idea of having all the kids names on cards by the computers. ESPECIALLY for log in information. I can't even tell you how many times a day I am interrupted by students who don't know their log in! Thank you! My name is Martin Legault and I'm the owner and founder of Resources4Teaching. I would like to invite you to join. Resources4Teaching.com is an online marketplace where teachers can start up their own educational store, share quality lessons and resources and try fresh new educational ideas in their classroom. I am a second grade teacher from Marysville, Ohio. I have been teaching for 6 years and absolutely love it! I also enjoy spending time with my husband and son, reading, scrapbooking, and boating! Words of Advice Wednesday Linky! March Is Here! Get Your Math Stations Ready! Ms. Rosenberg, are you okay? You've gone pale! Graphics by Ms. Fultz's Corner and School Supply Addict.